Save the Deep Sea: Welcome to the Deep Sea Conservation Blog! 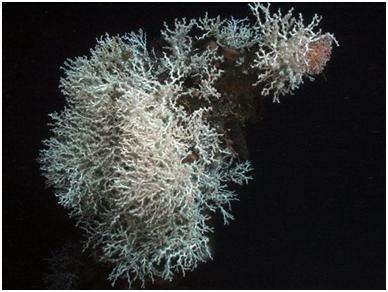 Welcome to the new blog of the Deep Sea Conservation Coalition! We are very happy to be joining the blogosphere. Some things you can expect in the future are posts on the latest science, interviews with deep-sea political experts and discussions on the challenges and opportunities to conservation in some of the most remote and unknown places on our planet. But first, just who is the DSCC? In brief, we are a coalition of over 70 organizations from around the world. We all care about the wondrous life that exists in the deep sea – both known and unknown - and we all recognize that working together will have far more impact than going it alone. Since our start in 2004, we have been working hard to put an end to highly destructive deep-sea fishing practices and to protect highly vulnerable deep-sea species and habitats, like the corals pictured below. A lot has been accomplished over the years. This includes strong resolutions from the United Nations General Assembly, protected areas, and FAO guidelines for the management of deep-sea fisheries on the high seas. Yet much work remains to be done. This year is critically important for the world’s nations to move from political commitments to real action in the water. We hope you will follow along and help support our efforts. Looking forward to your posts! Nice to have more voices out on the web. Let us know when you have some material you really want to get out there. We'll try to help you get the word out! Thank you so much for all your hard work, and now introducing this blog for everyone! I look forward to reading and supporting you!